If you were severely injured in the Florida Keys in Monroe County, then you should speak with the best Monroe County car accident attorney that you can find. It is important that you find the right lawyer. It should be someone that you are comfortable with and who you can trust. 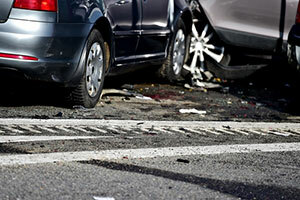 The choice of a car accident attorney is an important one. At the Wolfson Law Firm, we invite you to review our website, read our client reviews and call us for free. We welcome the opportunity to interview with you. Just call us at (305) 285-1115 and let us answer your questions about your Monroe County car accident. The Monroe County injury lawyers at the Wolfson Law Firm provide comprehensive personal injury representation for anyone injured in an accident caused by the negligence of another. Our personal injury lawyers have more than 75 of collective experience in helping injured people get the justice and compensation that they deserve. Make sure that you are safe from further harm. Be aware of oncoming traffic from all directions after your accident. Get help. Call 911 and take whatever immediate first aid measures necessary to prevent further injury or loss of life. Speak to the investigating officer but no one else. You don’t want an innocent statement like “I’m sorry” to be misinterpreted in court at a later date. Maybe you were simply sorry that someone was suffering after being injured in a car accident. But you did not mean that the accident was your fault. Better to avoid any misunderstandings and watch what you say post-accident. Use your phone as an evidence collection device. Take videos of the scene. Take photos of the vehicles, the scene, skid marks and anything else that may assist you in proving your case at a later date. Get medical care and treatment. It is important that you let a medical professional determine that you are not suffering a hidden injury. It is also important that you document your injuries as soon as possible after the accident. Call a qualified and experienced Monroe County car accident lawyer to help you deal with the insurance companies and to preserve and present your case for settlement or trial. At the Wolfson Law Firm, our Monroe County personal injury attorneys are available to serve you 24/7. Call (305) 285-1115 for a free consultation. Our bilingual Monroe County personal injury team is proud to serve the good people of Monroe County including the towns and communities of Islamorada, Layton, Tavernier, Key West, Florida City, Bahia Honda, Big Coppitt Key, Stock Island, Key Colony Beach, Key Largo, Key Colony Beach, Sugarloaf Key, Lower Keys, North Key Largo, Duck Key, Upper Matecumbe Key, Middle Keys, Upper Keys and Flamingo.